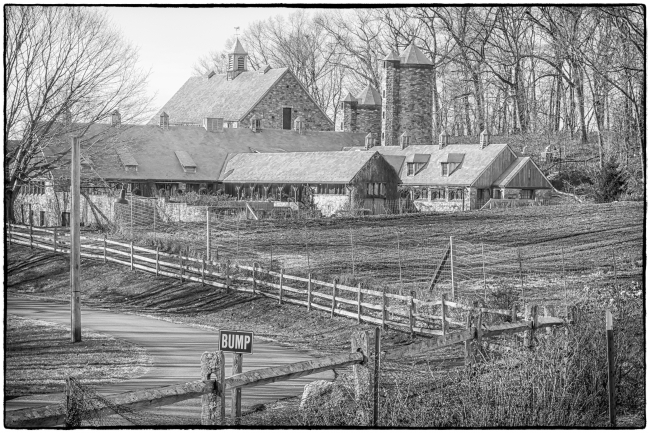 Stone Barns Center for Food & Agriculture is a non-profit farm and educational center with a partner restaurant, Blue Hill at Stone Barns, located in Pocantico Hills, New York. The Center was created on 80 acres (320,000 m2) formerly belonging to the Rockefeller estate in Pocantico Hills by David Rockefeller and his daughter, Peggy Dulany. Stone Barns promotes sustainable agriculture, local food, and community-supported agriculture. 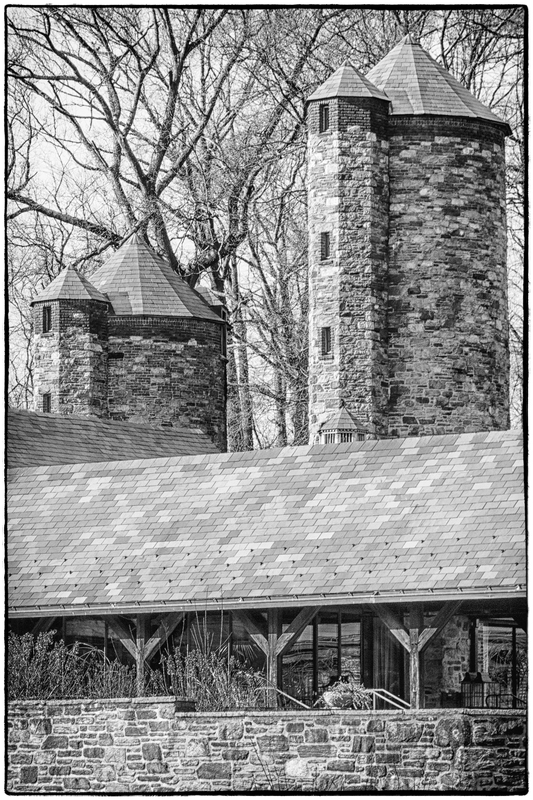 Stone Barns is a four-season operation. Stone Barns Center is also home to Blue Hill at Stone Barns, a restaurant that serves contemporary cuisine using local ingredients, with an emphasis on produce from the Center’s farm. Blue Hill staff also participate in the Center’s education programs. 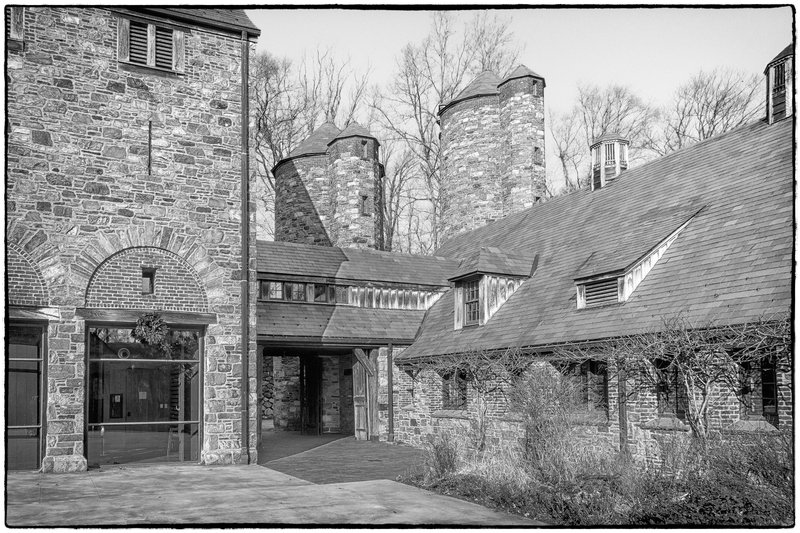 It’s quite close to our house in Briarcliff Manor and is connected to the Rockefeller Preserve, a pleasant place for hiking with numerous trails to chose from. The area around Stone Barns always reminded me of where I grew up in the north of England: rolling fields enclosed by stone walls containing browsing cows. Stone Barns itself always makes me think of French medieval manor houses with its turrets, interior courtyard and stone walls. The description of “Blue Hills” in Wikipedia really doesn’t do it justice. It’s one of the best (and most expensive) restaurants in the Hudson Valley. We’ve been there a few times and it’s excellent. The setting is magnificent. 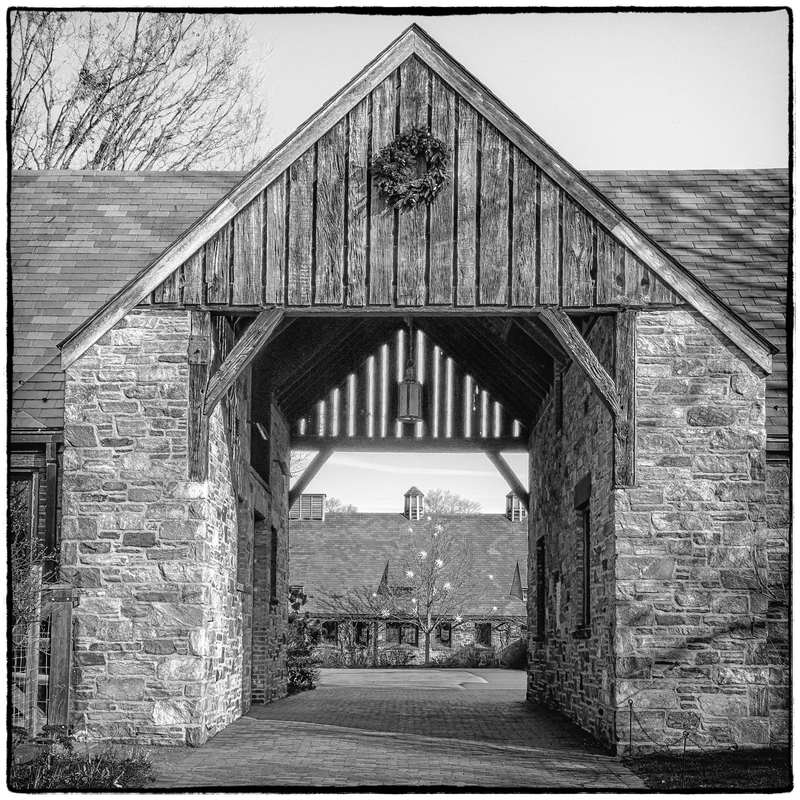 I’ve spent many pleasant hours wandering around Stone Barns and the Rockefeller State Park. Entrance to the Interior Courtyard. 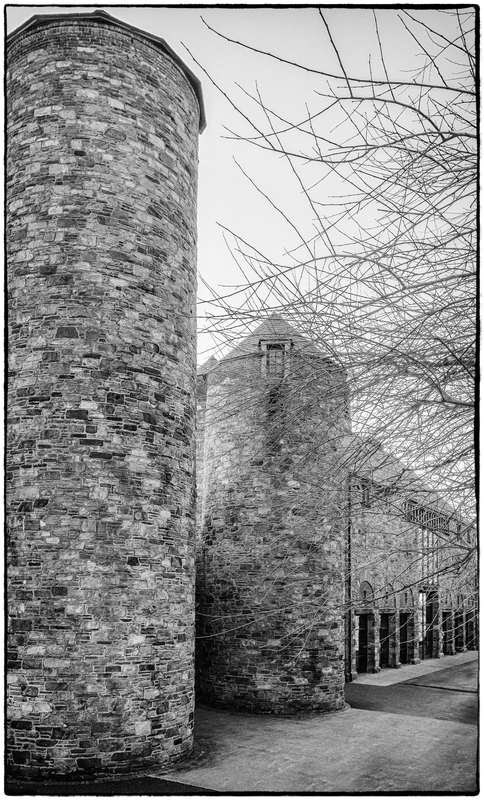 This entry was posted in Black & White, Buildings/Structures, Landscapes, Places. Bookmark the permalink.